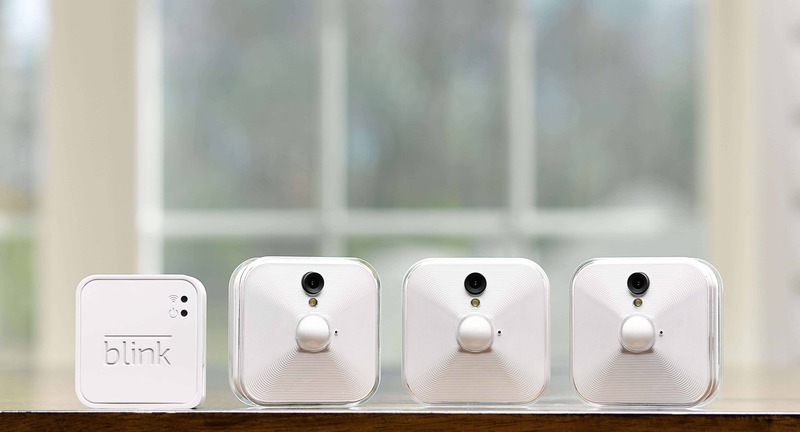 The Blink home security camera system is an awesome, easy to set up home security camera array. Consisting of cameras and a module, it's a wireless-capable system which boasts an intuitive configuration to transform your home into a smart home and bolster security. Check out my Blink camera review, and learn if Blink can provide you peace of mind! Blink wireless home security camera system: What's in the box? Blink offers two different models. 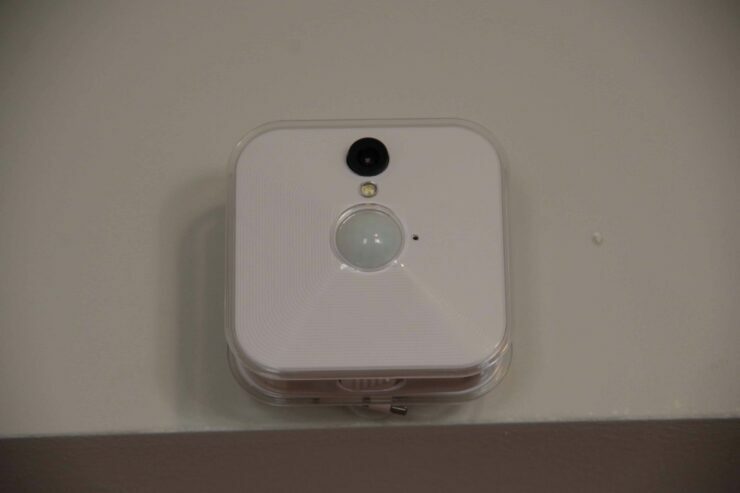 There's the Blink indoor security camera which I tested. You'll also find the Blink XT indoor/outdoor HD security camera. The Blink XT adds features like HD quality and IR nightvision. I tested out the vanilla Blink. More specifically my test unit was the three camera system. In the box, I found three Blink cameras and the sync module. 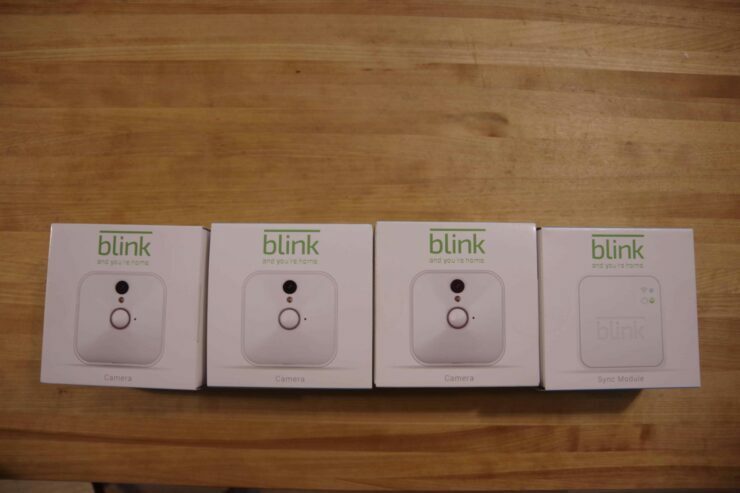 Blink is available in one, two, three, and five camera configurations. The Blink XT arrives as a one camera or three camera system. But standalone Blink and Blink XT cameras are available for purchase. Similarly, the Blink sync module is available separately. Aside from the Blink sync module and cameras, you'll find mounting brackets and included screws as well as 3M adhesive strips for a non-intrusive installation. For its hardware, you'll find a 720p camera with a 110-degree field of view lens. There's a motion sensor, and micro USB slot. In my Blink camera review, I found Blink extremely intuitive. Each box includes a beief instruction pamphlet. It's as simple as downloading the app, setting up the sync module, placing your cameras, and connecting wirelessly. 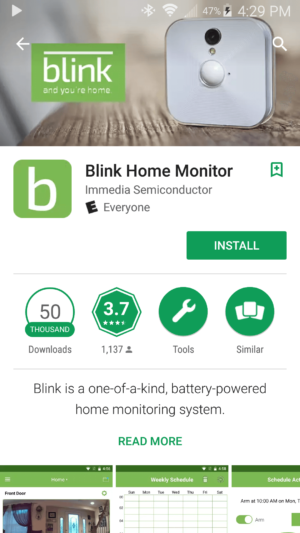 As such, Blink is an awesome security home monitor offering that's ideal for everyone from power users to smart home beginners. First, head over to your preferred app store and download the Blink app. It's available for free from the Google Play and iTunes stores. Sorry Windows Phone users, you're out of luck. Also, there's no support for Ubuntu phone, but Canonical nixed Ubuntu Touch so that shouldn't really come as a surprise. Once you've downloaded the Blink app, you'll need to create an account. Again, it's free and you don't even need to verify your account to get started. When it's added as a device in the Blink app, connect to the sync module like it's a Wi-Fi network. Then, Blink prompts you to find the Wi-Fi network you'd like to connect your Blink sync module to. Find that from the list of Wi-Fi networks, and enter your password. Now you should be connected to the sync module. Give it a name, like home, office, or work. Click that, and you'll see a screen with both the Blink and Blink XT side by side. Then, select the camera which you're setting up. In my case, that was the Blink. Now that you selected your camera, you'll see a brief video explaining how to set it up. Now that you selected your camera, you'll see a brief video explaining how to set it up. When you're ready, you'll again need to either enter the serial number or scan the QR code. Once connceted to the camera, you'll click the screenshot button to take a photo with your camera. This allows you to view the camera's viewing angle and line of sight, as well as connectivity. If you're happy with it, leave the camera as is or movet it. After that, set up is finished. Now you're ready to begin using your Blink wireless camera. In my Blink camera review, I was impressed with how easy initial set up was. It took less than a half hour to get everything opened up, in place, and properly configured. With the app, you can view your different rooms which are each labeled. Because I placed one in my bedroom, one in my living room, and another in the kitchen, I named them Room, Living room, and Kitchen. Creative, I know. 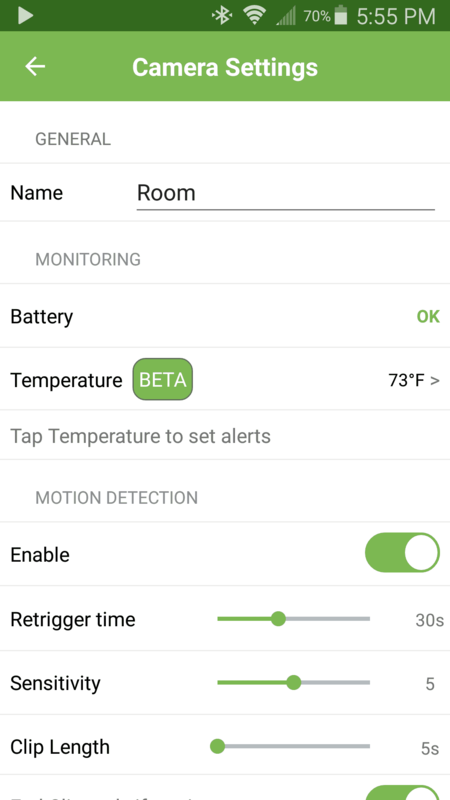 With your neatly labeled rooms, you'll see these conveniently in the home screen on your Blink camera app. Then you can pull up a live video, or take a screenshot. You can even enable sound in videos. I found that video quality was superb, even under low light conditions. If you've got multiple modules in multiple locations, you can browse these in a drop down. Although I only have the one unit set up as “Home,” it's easy to use the drop down to switch to a different location. 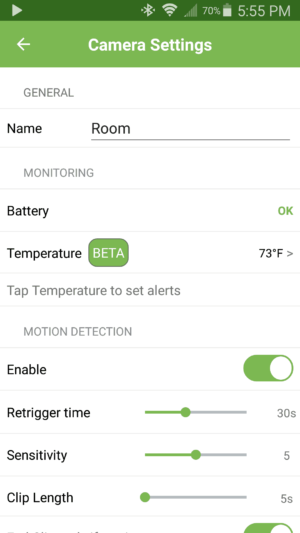 Thus, you can use the Blink camera app to monitor multiple locations, like home and office. 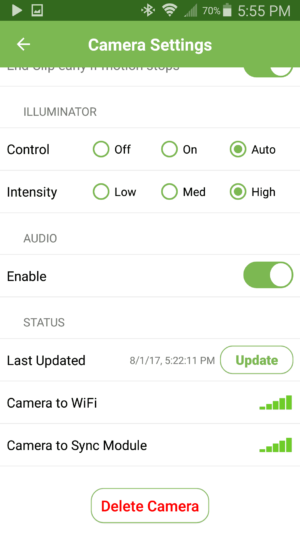 For each camera, you can set various parameters and view settings. Clicking the cog above each camera gives a bit of info on battery life, as well as temperature. Notably, this is in beta. But you can set temperature alerts. For instance, a heat or cold alert if the temperature dips below a certain temperature. There's also a motion detection feature. Most consumer-facing home security systems don't constantly record. Instead, they offer motion detection recording. So you can set a retrigger time, sensitivity, and a clip length. You'll also find illuminator settings like control and intensity. Plus, you can enable or disable audio. Audio and video quality are excellent. I was impressed with the various settings. You can spin up a Blink camera array in far less than an hour. I got mine configured in less than a half hour. That's with rearranging a few cameras. I like the spimplcity of both hardware set up as well as software. Blink for home delivers an intuitive experience with elegant hardware and software, all for a reasonable price at $100. However, power users may be left wanting. You won't find more advanced settings such as audio alerts and third-party integrations. Similarly, while you can take screenshots and view live video, there's no on-demand recording. Further, local storage isn't available. Although this is a fantastic smart home wireless security system, you won't find features like scheduled arming and disarming or two-way audio. Nevertheless, the Blink wireless home security camera system is phenomenally priced, and the most intuitive security camera system available. The software is stable and I appcreciate its simplicity. 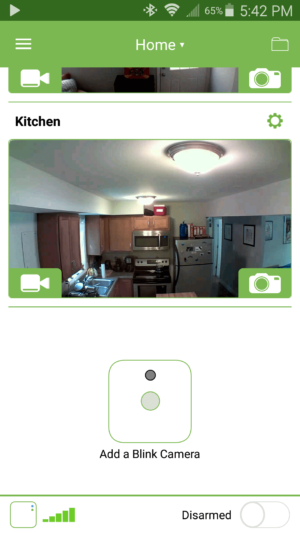 Ultimately, in my Blink camera review, I found Blink best for smart home beginners and intermediate users. Power users will undoubetedly enjoy Blink as well. However, lack of certain scheduling features and smart home automation aspects might deter advanced smart home gurus. 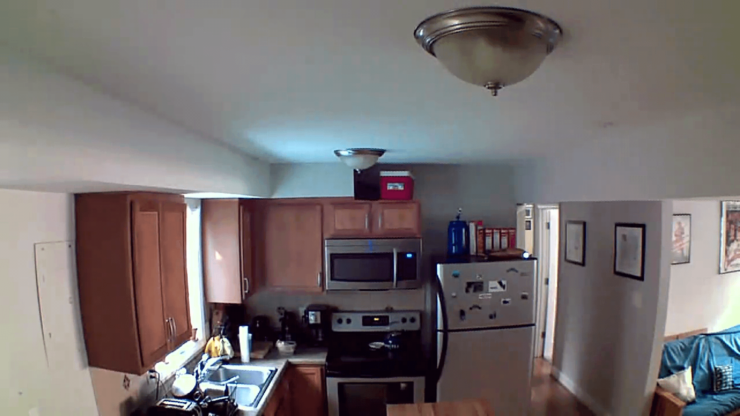 Blink for home is an amazing wireless indoor security camera. The price point is more than reasonable, and I like the modular installation. 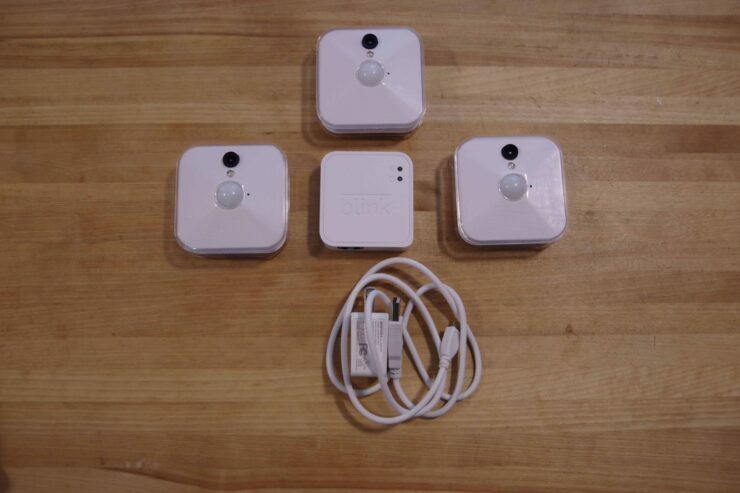 Although my review unit shipped with three indoor cameras and a sync module, it's easy to add more cameras. I'll probably pick up a Blink XT for use outside my front door. The hardware is reliable and high-quality, especially for the price. There's not a ton that it does aside from basic monitoring. But especially considering its temperature feature, currently in beta, expect future updates. For basic monitoring, it's an awesome wireless indoor security camera set up. Have you tried Blink? What wireless indoor home security cameras do you recommend?